Under the theme: "20 years of premium environmental management - High Level Conference on EMAS: learning from front runners, promoting best practices, and exploiting the full potential of green growth", Organizations with remarkable portfolio in environmental management and experiences were highlighted. 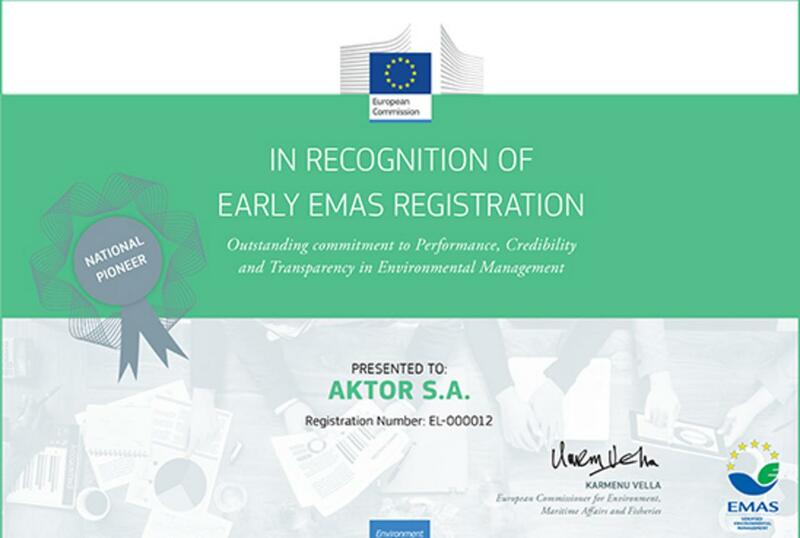 In an extraordinary ceremony, hosted by ECB Vice-President Vítor Constâncio, and numerous EU officials, AKTOR S.A was acknowledged and awarded as the unique front-runner in Greece, implementing EMAS eco-management Standards to its Projects. For more than 60 years, AKTOR S.A., has set Sustainable development, as core Corporate priority, respecting Communities, people, and the Environment, in complete compliance with International and European standards. 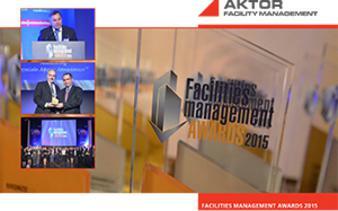 EMAS Award honors the laborious efforts and commitment of AKTOR SA workforce, to ensure sustainable development and delegate a better future to the next generations. Furthermore, this Award, underlines AKTOR SA diachronic vision and mission to actively contribute in building this future in Greece and abroad. ΑΚΤOR family acknowledges that the inspiration, concept, establishment of its Corporate Environmental Responsibility in its entire set of Projects, belongs to Loukas Giannakoulis. As a sincere expression of gratitude and recognition, AKTOR S.A. dedicates EMAS Award to Loukas, a creative professional, visionary architect, an exceptional Man who valued the Environment as his Natural space. 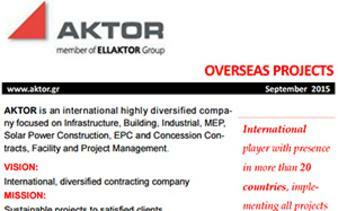 This dedication consists the vivid motivation to all of us in ELLAKTOR Group to honor his legacy.